Shantelle Argyle discusses low bono legal services and their impact on the access to justice movement. It’s no secret that access to justice is a significant issue within the legal industry, but when did lawyers first recognize the problem and how are they working to solve it? 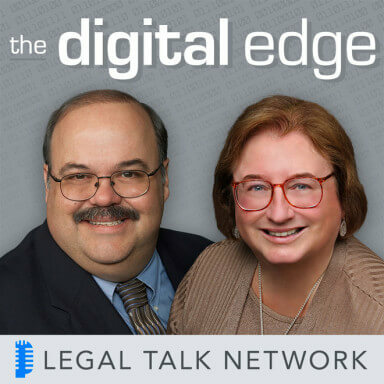 In this episode of The Digital Edge, hosts Sharon Nelson and Jim Calloway discuss low bono legal services with Shantelle Argyle, executive director of Open Legal Services. Their discussion includes the unintended consequences of the access to justice movement, the biggest barriers to innovation in legal services, and the role of Open Legal Services as a legal aid organization. They also discuss what’s different about today’s legal services consumers and how they affect access to justice. Shantelle Argyle is co-founder and executive director of Open Legal Services, a sliding scale legal aid organization. Laurence Colletti: Hello listeners it’s Laurence Colletti executive producer of Legal Talk Network. I want to tell you about one of our more hilarious yet still very informative podcast called “Thinking like a Lawyer.” Twice a month hosts Elie Mystal and Joe Patrice from Above the Law, dive in what it’s like to see the world from a lawyer’s perspective, meaning, they’ve jabber on about politics, current events, this that and the other, sometimes with the guests, and sometimes not, but if you looking for a filterless podcast, check it out! “Thinking like a Lawyer” on the website of legaltalknetwork.com, in iTunes or in your favorite podcast platform and now, back to the show. 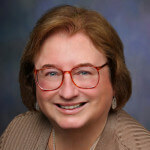 Sharon Nelson: Welcome to the 114th edition of the Digital Edge, lawyers, and technology. We’re glad to have you with us. I’m Sharon Nelson, President of Sensei Enterprises and Information Technology, Cyber Security, and Digital forensics firm in Fairfax Virginia. Jim Calloway: And I’m Jim Calloway, director of the Oklahoma Bar Association’s Management Assistance Program. Today, our topic is Low Bono Legal Services. Sharon Nelson: Before we get started, we’d like to thank our sponsors. Thanks to our sponsor Clio. Clio’s cloud-based practice management software makes it easy to manage your law firm from intake to invoice. Try it for free at HYPERLINK “http://www.clio.com” clio.com. Jim Calloway: Thank you to Answer1. Answer1 is a leading virtual receptionist and answering services provider for lawyers. You can find out more by giving them a call at 800 answer1 or online at HYPERLINK “http://www.answer1.com” www.answer1.com. Thanks to our sponsor, Scorpion, which delivers award-winning law firm web design and online marketing programs to get you more cases. Scorpion has helped thousands of law firms just like yours, attract new cases, and grow their practices. For more information, visit HYPERLINK “http://www.scorpionlegal.com/podcast” scorpionlegal.com/podcast. We are very pleased to have as our guest, Shantelle Argyle, who is the co-founder and executive director of Open Legal Services. A sliding scale legal aid organization, OLS offers services to the low, and moderate income clients who are unable to get Pro Bono services but cannot afford the services of a traditional attorney. OLS opened in 2013 and has two locations in South Lake City and Ogden, Utah. Thanks for joining us today Shantelle! Shantelle Argyle: Thank you so much for having me! Sharon Nelson: Well, let’s bring our listeners up to speed just a little bit here because I think they probably don’t know some of the history behind access to justice. How has that movement changed over time? Shantelle Argyle: It has been an ongoing process to define what exactly it is to provide access to justice. What is justice? That’s the question that’s been debated for over a hundred years at this point. I would say it’s started in about 1919 when there was a book published, that started to discuss the term legal aid which is also a subject of great debate even today, and that book basically provided citations and established the precedent which we lawyers just love for serving the poor and the EBA, based upon that book, actually began creating committees and services to get more services for the poor, access to an attorney. So what is access to justice? It has changed so much over a last hundred years that it’s kind of hard to define at this point. It depends on who you ask and who their funder is. Sharon Nelson: That’s true enough! 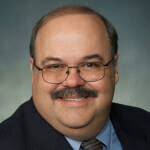 Jim Calloway: Shantelle, I’ve been working with our state’s access to justice commission the last couple of years and so on, aware that every solution sometimes has a good consequences and sometimes an unintended consequence. So, what are some of the unintended consequences we have seen of the access to justice movement? Shantelle Argyle: Well, I think the big one is that, in the middle of the last century, we started to see a lot of funding efforts and more involvement in the federal government in providing access to justice to the poor. And that definition has really created and shaped it legal aid to mean Pro Bono services and there were a lot of efforts made by great, great revolutionary non profiteers, I’d like to call them, out there trying to get services for the very poor in that those are typically defined under legal services corporation who’s the largest federal funder as being below a 125% of the federal property level. Now, one an unintended consequence is that the federal property level is still a little bit arbitrary. It’s national. It as opposed to based on regional economies and costs of living. And so a lot of people have unintentionally been left out of getting those services even though the cost of living in their area might be such that they desperately need them and are unable to get a regular attorney. So, by creating these definitions in exchange for getting federal funding which was desperately needed, a lot of strings and requirements will put in to place. So, the unintended consequence there was, in order to get more aid, we have to cut out aid to certain people who also needed it. Another one is the definition of legal aid has changed, it used to be and going back to that book I mentioned which was called Justice and the Poor from 1919, that book cited multiple references to charging for services by legal aids. So, that actually is a precedent that has existed for nearly a hundred years, but due to this movement that has gone on to create more robust funding sources for Pro Bono agencies, the charging for services portion of it has become less popular and a little bit on the sideline. So, another unintended consequence is that a funding source that could make these non profits more sustainable and require them rely less heavily on that federal money has actually impact on the opposite and prevented them from charging services. In fact, it’s prohibited by a certain organizations to charge at all. Sharon Nelson: It seems like recently they’ve been a lot of new innovations to assist with access to justice. Can you give us some examples or projects that you’ve seen throughout the country? Shantelle Argyle: Sure! And it’s really great. In fact it’s I think my favorite part of my job is getting to travel over to various state bars or law schools and see some of the innovations that state courts and state bars are putting into place. And even students right out of the law school are trying their own initiatives and they vary so widely and that’s one thing about this movement that I loved is that, innovation is so broad and so widespread and yet so different from place to place. So, one example would be a state court creating portals that are placed in agencies such as the DMV. So when somebody goes into license their car, renew their driver’s license, and they have portals directly to the court clerks so they can work on court cases that they have going on in these remote locations. When you have a place like Arizona with the Grand Canyon, which can cause a 115-mile drive in order to get to your county seat for courthouse, a lot of people are just not able to take that time and because of the Grand Canyon being in the way there is really not an easy way to get there, you’d lose an entire day of work. So, having access to those remote portals is a great way for them to get access to the courts. Another would be the limited license legal technician out of Washington State which is now being adopted by other states including Utah where we are allowing practitioners who are a paralegal to actually practice law and are able to do particular functions specifically in family law but I think it would spread to other areas. We’re seeing Low Bono non profits such as Open Legal Services about four dozen or so throughout the country that are formed and we’re seeing regular for profit attorneys who are changing their business models and streamlining them so that they can afford to charge a lower fee. We’re also seeing clinics of all kinds popping out. For example in Baltimore they have the expungement clinic that started out of the City library there and that was basically — initially a Pro Bono entity that was just helping people right of the streets and became a community based expungement clinic. And these are all just being done by lawyers who have a good idea and want to contribute to the problem but there’s not really a central access to justice place. There are various committees, there are various state bar organizations, but like I said, does left hands and right hands don’t necessarily know what one another are doing. So, you’re seeing these great grassroots movements pop up all over the country. Jim Calloway: Well we’re certainly seeing a lot of things pop up. In fact we launched a program that many states have, called the Oklahoma Free Legal Answers that lets people have anonymous advice from lawyers so we’re excited about that and another giving lawyers who are in private practice a chance to volunteer. But let’s talk about your firm, how these open legal services fit in to this landscape we’ve described? Shantelle Argyle: Yeah, so we are a 501c charity so we are considered to be for purposes of tax advance status a legal aid organization, but like I mentioned before, that’s a little controversial because in some states, legal aid is something that the bar recognizes as a type of law firm. So, you have to meet a lot of really stringent requirements or if you choose to accept federal money from legal services corporation you’re bound by certain rules. And we specifically did not want to be bound by those rules. We did want to be prevented from serving for example undocumented immigrants who are not victims of domestic violence. That’s one of the rules that if you accept LSC funding you might be bound by. We also wanted to be able to help people who are respondents on protective orders and there are some rules that, if you are the alleged abuser, you are not eligible for legal aid services under certain guidelines. So, the thing that’s different about us is we are not grant and donation supported. We live up off of what the clients are able to pay us on the sliding scale and we don’t accept federal funding so that we are able to serve whatever clients we would like to serve who are in need of our services but who still fall within the low and moderate income guidelines that are typically recognized by the IRS. Advertiser: Looking for a process server you can trust, ServeNow.com is a nationwide network of local prescreened process servers. ServeNow works with the most professional process servers in the country. Connect your firm with process servers, who embrace technology, have experience with high volume serves, and understand the litigation process and the rules of properly effectuating service. Find a prescreened process server today, visit servenow.com. Sharon Nelson: Imagine what you could do with an extra eight hours per a week. That’s how much time legal professionals save with Clio, the world’s leading practice management software. With intuitive contracting, billing and matter management, Clio streamlines everything you do to run your practice from intake to invoice. Try Clio for free and get a 10% discount for your first 6 months when you sign up with the code TDE10. Of course, you can find Clio at www.clio.com. Welcome back to the Digital Edge on the Legal Talk Network. Today, our subject is Low Bono Legal Services. Our guest is Shantelle Argyle who’s the co-founder and executive director of Open Legal Services, a sliding scale legal aid organization. Shantelle, what are some of the challenges for innovators in the Legal Services industry? Shantelle Argyle: Well, I think — one thing I’d like to say pretty often is lawyers ruin everything. Sharon Nelson: We all like to say that! Shantelle Argyle: Yeah! I remember one time when I stuck on a plane in Minneapolis and we were trying to deplane but, what is it called, the gangway, was not working and so they couldn’t get the bridge out to us to walk of the plane and so they were thinking after about an hour and half about us being stuck there that maybe they would just let us deplane right down on to the tarmac. And about 30 minutes later, they came back on and said their lawyers had said no so we would just have to wait until the thing thawed enough to get us off the plate. And I said, sure enough lawyers ruin everything. So bureaucracy, I think is probably the biggest barrier to innovation and legal services. One thing about my partner, Daniel and I is that when we started this place, we’ve had no idea if it would work. We had no idea if it was legal. We had no idea if it had been done before and nobody seemed to have the answer to our questions. And so fear was really kind of the reason that we found when we asked why hasn’t this been done this before. Everybody responded with this kind of nebulas kind of – response instead of a hard, well you can’t because so and so did it and this didn’t work. Well there. is this rule that says you can’t. Nobody had a hard reason for us but there’s a lot fear of something different, of something untested, of something that might upset people. Politics is another barrier. It’s bad enough that we have bureaucratic rules. We refer to the state bars some times as bureaucratic quagmire where good ideas go to die because you get stuck in the way things have always been. You get stuck in various interests that different stakeholders might have and, it’s really hard to break through those especially when lawyers are, to cut it bluntly, were discriminated against or discriminated against by the IRS. I mean, they presume that we are a for-profit enterprise and we’re not. I can’t think of any profession that has a blanket rule by the IRS that says, ‘if you are a lawyer, you cannot be charitable.’ So, you have to rebut that presumption by being either a legal aid or public interest law firm or some of these other entities that are carved out. And so we started at a position that we’re just greedy, money grabbers and that’s already putting us that disadvantage to do this altruistic thing that we’re out here trying to do. Then when you start adding rules on top of that political interests and fear, you’re really starting from a place of a huge disadvantage and so, I’m happy to see the movement is starting to really pushback against that, and lawyers are slow on the uptake when it comes to change. That’s my favorite joke. How many lawyers does it take to a change a light bulb, change, aha? And it’s true! I got a lot of pushback, a lot of resistance. I’ve been told that I incompetent when I charge these lower rates. I’ve been told that, we’re operating a non profit as our own private piggy bank which is obviously not true, you can come and get our financials but there just a lot of misunderstanding and a lot of fear and part of why I love doing this so much, is I get a chance to really speak to those issues and talk about the challenges that we’re up against and show that we’re out here, really doing a lot of good for people. Jim Calloway: Well, in my role as a bar association employee, I cringed a little bit there Shantelle but — right of… I will note, that I have advised several law firms that were making it a profit but that wasn’t their intention so it wasn’t a good thing for them. Shantelle Argyle: I call that accidental Low Bono and I try to help people when needed. Jim Calloway: So, back to the topic. What is different about, today’s consumer of Legal Services? And it’s just this dance that you’re doing. You don’t know the steps. You’re just there as a consumer and sort of putting your trust into somebody who frankly is not super trustworthy and nowadays, if I go into a car lot and there’s not a sticker right there on the window, I’m very suspicious going in. And if they give me a price and they’re not willing to discuss it well I can pull my smart phone right out and tell you the guy down the block has it for this much less. And so, people are more informed about how things should be. Doctors always complain about the patients that are the worst are the ones that do their own medical research and then come in and try and tell them what their diagnosis is instead of ask. But we get a lot of that too and the reality is we have to be accountable for it. We can’t longer be in our ivory tower with our windows closed, and the outside world is not there and when the people come in, they can only rely on us. There’s not the level of trust that used to be there. We have a PR problem in our industry and so we have to be transparent and there’s a lot of hesitancy by lawyers to put their rates on the website for example. We have huge debates in Utah on our access to justice commissions and so transparency is really crucial to these customers. They also like to do things themselves and many of them are choosing not to hire a lawyer not because of the price but because they think they can do just as good a job. Sharon Nelson: And so, there’s different in today’s consumer, how does that impact be efforts and access to justice? Shantelle Argyle: Well, one thing is that — a lot of the courts have looked at statistics for how many people are going alone right, that are self help, and when they’re self represented like that the courts see there’s a need and they provide these services such as online portals to create their docs, and they’re actually helping people represent themselves which is actually increases the numbers of people who representing themselves which to them looks like an access to justice problem. But not every person who chooses to not hire a lawyer is doing so because they can’t afford it or they can’t get a lawyer, they‘re actually, making the choice to represent themselves, by using these tools that the courts themselves have created. So there needs to be a recognition that these are more savvy consumers and that they’re not willing to play the old hard sales pitch game that the prior consumers’ generation might have been willing to do. Jim Calloway: Before we move on to our next segment, let’s takes a quick commercial break. Sharon Nelson: Not getting enough cases from the internet, the kind of cases you want, Scorpion can help. Over the last 15 years, Scorpion has helped thousands of law firms just like yours attract new cases and grow their practices. During this time, Scorpion has won over a hundred awards for its law firm website design and online marketing success. Join the thousands of law firms which partner with Scorpion and start getting more cases today! For more information, visit scorpionlegal.com/podcast. Is your firm experiencing missed calls, empty voice mailboxes and potential clients you’ll never hear from again, enter Answer1 virtual receptionists. They’re more than just an answering service. Answer1 is available 24/7. They can even schedule appointments, respond to emails, integrate with Clio and much more. Answer1, helps make sure your clients have the experience they deserve. Give them a call at 1-800 Answer1 or visit them at answer1.com /podcast for a special offer. Jim Calloway: So, do you have a solution to the plight of low income litigants? Is there more than one? Shantelle Argyle: There’s absolutely more than one and I think that’s probably the best lesson that I can give to people when I’m speaking, whether it’s a non-lawyer solution or lawyer solution there is a big fight over that. Let’s not have to fight! There’s more than one solution. We need, everybody at the table and it maybe a technology, it maybe a lawyers, it maybe non lawyers. It’s a combination of all of those, that’s going to get us out of this mess. Sharon Nelson: Who are the stakeholders in Low Bono Legal Services, Shantelle? Shantelle Argyle: You know, that’s a tricky one because as attorneys, we try to think whose our client and who are we supposed to serve but we also have to serve the community at large. We have to serve the courts. We have to serve the opposing counsel. We have to serve our boards of directors.. We have to serve a lot of people and when it comes to legal aid, we even add on top of that funders, right, grant sources. So, figuring out what order we prioritize is those is really difficult. Ultimately the client has to come first regardless of who is giving us money or why and that’s a challenge that we’re always going to be dealing with. Jim Calloway: Where do clients fit on that list, attorneys, funders, others? Shantell Argyle: I think that the client should come first. It should absolutely come first and funders — we have a really strict policy that you’re not to dictate how an attorney practices law. Our professional discretion is something that is not to be touched by a non lawyer. With legal aid, I think that there has been some shifting because of the restrictions that some of these, for example Legal Services Corporation, funders have put in to place and clients have suffered for it. So, I think it’s time to re-prioritize the clients as much as possible by considering innovations that maybe fall outside some of those rules. Sharon Nelson: Well, certainly enjoyed the kind of innovation you’ve been talking about today and I know Jim and I both applaud everybody’s efforts to get access to justice to everyone, because clearly it is not accessible to all and that’s darn shame. So, thank you Shantelle for joining us today and being our guest and describing something that really I don’t think many lawyers know about and Low Bono is really a topic, very deserving of study and we’re so glad that you were successful at it! Thanks for being our guest! Shantell Argyle: Thank you for having me! Sharon Nelson: That does it for this edition of the Digital Edge lawyers and technology. And remember, you can subscribe to all the editions of this podcast at legaltalknetwrok.com or on iTunes and if you enjoyed our podcast, please rate us on iTunes! Jim Calloway: Thanks for joining us! Goodbye Miss Sharon! Outro: Thanks for listening to the Digital Edge! Produced by the broadcast professionals at Legal Talk Network, join Sharon Nelson and Jim Calloway for their next their podcast covering the latest topic related to lawyers and technology. Subscribe to the RSS feed on legaltalknetwork.com or in iTunes. The views expressed by the participants of this program are their own and do not represent the use of nor or they endorsed by. Legal Talk Network, its officers, directors, employees, agents, representatives, shareholders and subsidiaries. None of the content should be considered legal advice. As always, consult a lawyer!